British Beatles Fan Club: Epstein Theatre, Liverpool, to Host Special Celebration for Brian's Birthday! Epstein Theatre, Liverpool, to Host Special Celebration for Brian's Birthday! 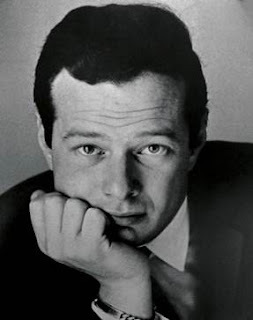 On Thursday, Liverpool’s Epstein Theatre will once again throw open its doors to the public for a now annual Open Day in honour of the late Mr. Brian Epstein’s Birthday. The 2013 Open Day, which is extra special this year as the theatre celebrates its centenary year, will take place on Thursday 19th September, which would have been Brian’s 79th Birthday. In 2012, hundreds of people from all over Liverpool and beyond attended on the day and theatre management are expecting an even better turn out this year! The Epstein theatre will this year celebrate Brian’s Birthday with a very special birthday tea in aid of Macmillan Cancer Research, as part of Britain’s Biggest Coffee Morning. The public can come along and enjoy a free cup of coffee or tea and for a small donation, a delicious range of sweet treats and cakes generously provided by local suppliers. All donations will go to Macmillan Cancer Research. Visitors are also encouraged to bring a cake and a special prize will be given for the most tastiest cake. On the day, the theatre will be open from 10am to 4pm and as well as Brian’s Birthday Tea the day will feature tours of the theatre where the public can explore the beauty of the venue such as the picturesque foyer, bar and auditorium. This day also launched the theatre's Autumn season and those attending can pick up the brand new brochure hot off the press. Joe Flannery, lifelong friend of Brian and Beatles Tour Manager will also be in attendance throughout the day and his new autobiographical book ‘Standing in the Wings – The Beatles, Brian Epstein and me’ can be purchased (priced at £18) and personally signed by Joe on the day. Those attending can also enjoy numerous musical performances from live bands representing the musical influences that Epstein managed. While enjoying the music, visitors will also have a chance to view an exhibition of photographs taken over the theatre’s 100 year history in this, its centenary year. There will be raffle prizes up for grabs throughout the day, including tickets for several great shows at the venue and delicious cakes from Dafna’s (Smithdown Road) and The Cake Shop (Central Station). On this special day, there’s lots for the public to enjoy right in the heart of Liverpool City Centre. The Epstein Theatre (formerly known as The Neptune) was originally opened as Crane’s Music Hall in 1911, and was a popular location for recitals and performances. It was renamed Crane Theatre in 1938. In 1967 the theatre was purchased from the Cranes by Liverpool Corporation, who decided that the theatre should be run by local people for local people and was named The Neptune Theatre. The Neptune also became a comedy club and after many years of uncertainty about the future of the theatre, it eventually closed in 2005. In July 2011, a £1million refurbishment of the theatre was completed which saw the Hanover Street venue brought up to 21st century standards and renamed ‘The Epstein Theatre’ in honour of former Beatles manager Brian Epstein, who guided the Fab Four from popular cellar act to global superstardom. The management contract was up for tender and was won by the well established team behind Liverpool’s annual Sound City Music Festival. The Sound City team outlined plans to use the building to showcase cutting edge art and pop culture events ranging from drama productions to art exhibitions, and also aim to ensure the Epstein can be utilised by community groups from across the city. The Theatre was officially opened on Wednesday 9th May 2012.